Slate is a metamorphic rock, formed under great pressure from what was originally mudstone. 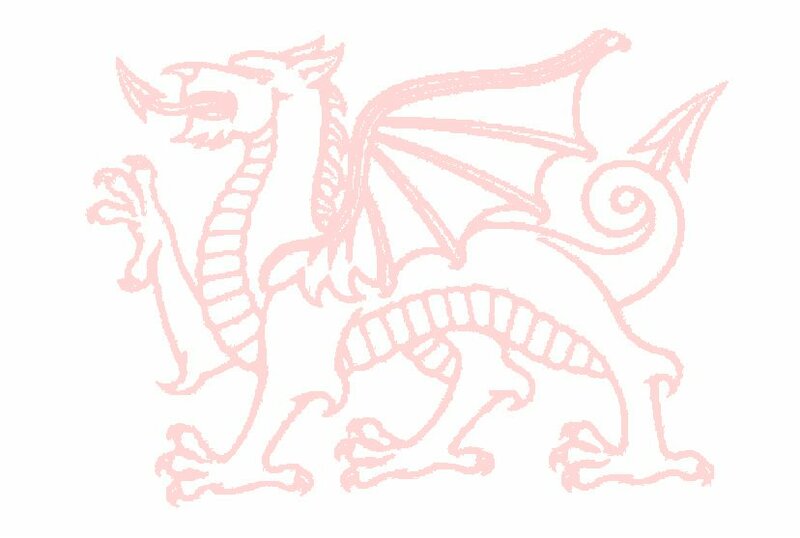 Its origins in Wales date back to the Paleozoic age between 350 and 500 million years ago. 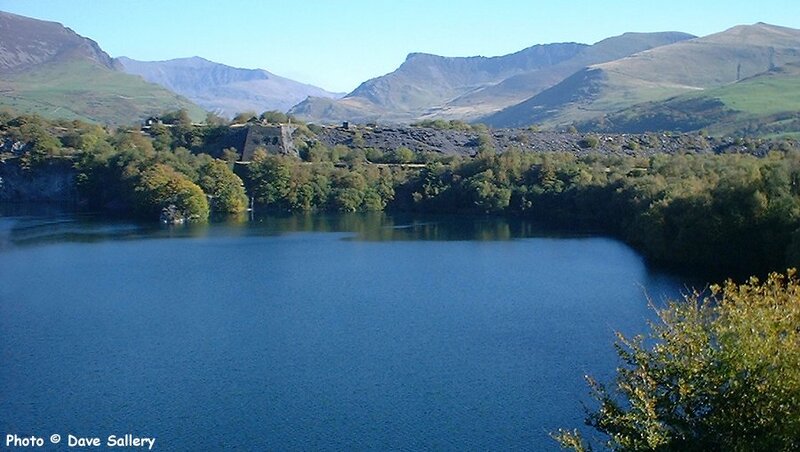 There are three types of slate found in Wales - Silurian, Ordovician and Cambrian. Silurian is the most recent and is found in the Llangollen, Glyn Ceiriog and Corwen areas. It is not particularly durable but the industry in those parts developed because of its closeness to major markets. Its lack of durability is noticeable in the waste heaps which have turned back to shale in some cases. 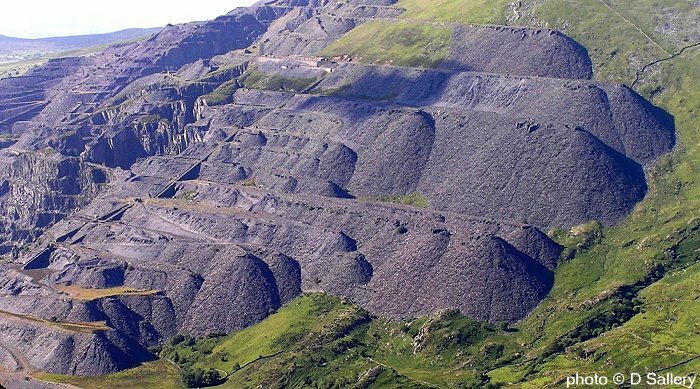 Ordovician slate is found around Blaenau Ffestiniog and Corris, it is generally mined underground. It is almost uniformly blue-grey and is easily split using machines. A flooded pit working - Dyffryn Nantlle. Pit quarries suffered from the disadvantage of requiring constant pumping, when work ceased the majority rapidly flooded leaving scenes like this at Dorothea Quarry, Nantlle. Slate is found in veins between other types of rock and the angle of dipping of the vein decided the method of extraction. There are three basic types of slate quarry - underground, open and pit. In underground workings tunnels are drilled to intercept the vein and then enlarged to remove the slate - pillars being left to hold up the roof. Open quarries follow the vein on the slope of the mountain and often use a system of galleries up to 70 feet high, the greatest exponent of this type of quarrying being Penrhyn at Bethesda. Pit workings are necessary where the vein dips almost vertically and are most common around Nantlle. It was not uncommon to find examples of more than one method of extraction in the same quarry. A photo taken at Maenofferen quarry when it was still in production - this shows the tunnel or adit leading to an underground working. 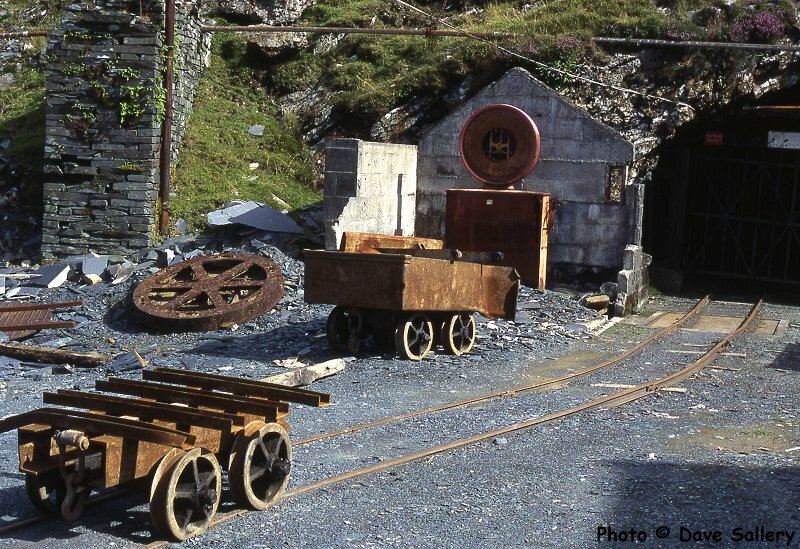 Also visible is a weighbridge, rubbish wagon, slab wagon and an upturned wagon turntable. Gallery working in an open quarry. Six galleries can be seen in this photo, the galleries could be up to 75 feet high. 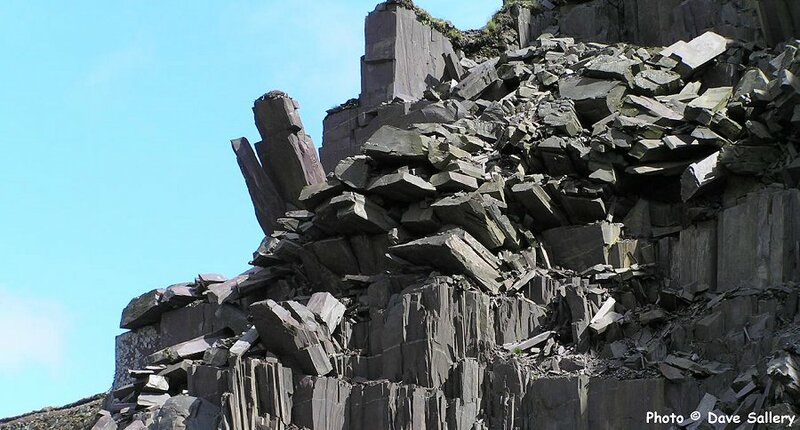 One thing that all slate quarries had in common was waste rock. On average 90% of the rock excavated ended up on the tips - in extreme cases it could be over 95%. These monumental tips are at Dinorwic Quarry.